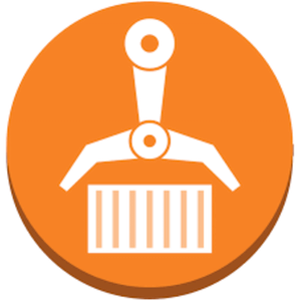 ECR is a managed Docker repository provided by AWS that allows users to store built Docker images that are accessible to various services withing the AWS ecosyste. 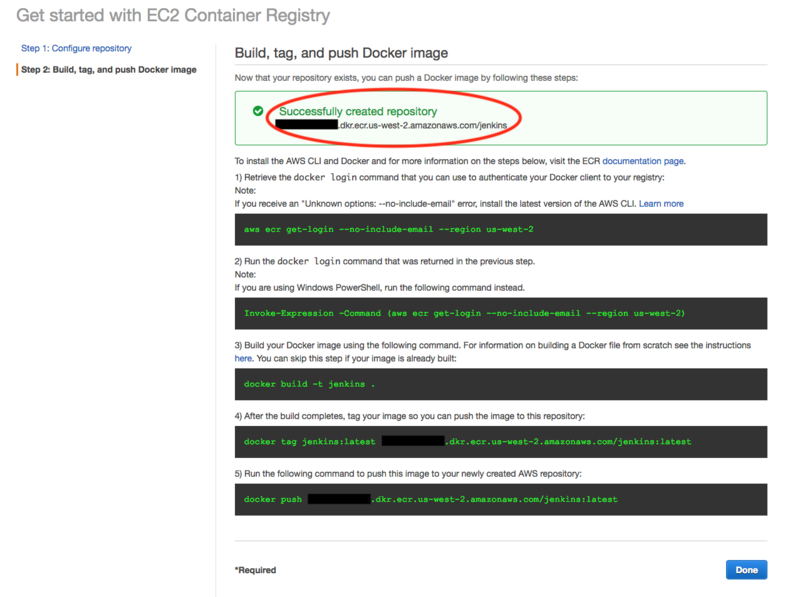 This tutorial will walk through the steps required to create an ECR repository to store Docker images on AWS. You will need to have an active AWS account, as this lab will cover setting up an AWS ECR Repository to store Docker Images on AWS. From the top left side of the navigational menu bar, click on the Services menu, and then choose Elastic Container Registry by either navigating to the section of the listed services, or by typing the first few letters of the service name in the search box, and then choosing it from the filtered list. Once the repository has been completed, and you have hit done on the instructions page, you should now be able to see the new repository. Now that we have created our repository, its time to set the permissions on the repository to allow any authentiated user to pull images from the repository. From the ECR main console window, click on the repository, and the click on the Permissions tab. 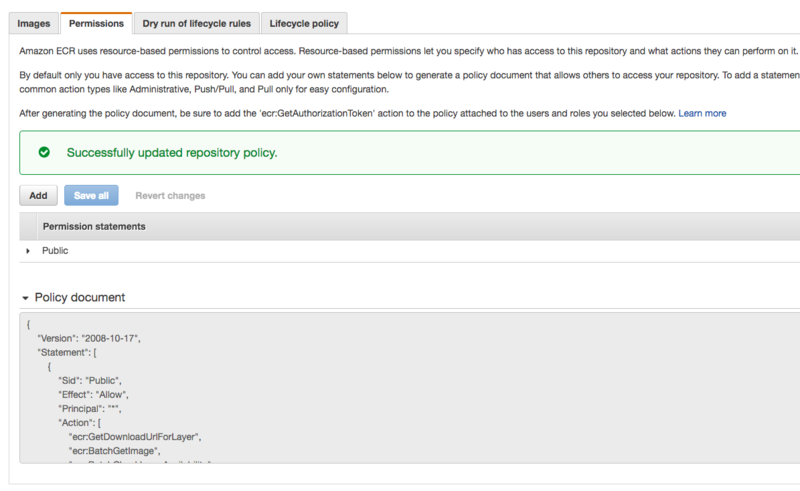 To add a new policy to the repository, simply click the Add button in the console view. In the policy editor view, Name the policy Public or some arbitrary name, and then select Allow for the Effect, Select Everybody for the Principal, and finally select Pull only actions under the Action section. Once complete, click the Save all button to save the policy. Your new Docker ECR repository is now ready to be used for its first push... Simply go build your image, tag it appropriately according to the ECR repository address given when the repository was created, and push it to the new repository ! !